Saffron Buns, or Lussekatter | Good. Food. Stories. The Feast of Saint Lucy, the patron saint of sight, was just celebrated on December 13. Before the Gregorian calendar skewed time, her feast was celebrated on the winter solstice. The story of Saint Lucy is much like many of the stories of early Christian martyrs. A young girl living in a pagan world (in her case, Sicily) yearns to be a bride of Christ, but is promised by her wealthy parents to marry a man. In one legend she is punished for her love by having her eyes gouged out. In another, she does the job herself. 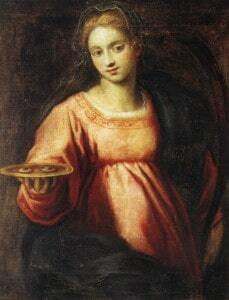 Images of Saint Lucy usually show her with her eyes on a plate. Of course the name Lucy, or Lucia, also reminds us of light, something in short supply on the winter solstice. Saint Lucy is one of countless myths that was re-interpreted through the lens of Christianity. Once we become attached to the details of our stories, we often forget about their mystical roots. Fortunately, they can be retrieved in food. Saint Lucy is widely celebrated in Sweden. 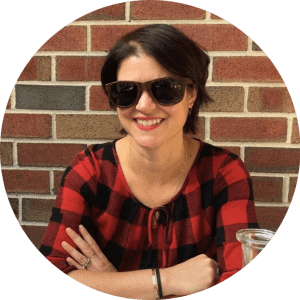 The tradition holds that the eldest girl of a household rises first, wears a white dress with a red sash, places an evergreen wreath and candles atop her head, and serves a breakfast of saffron buns and coffee to her family. In Stockholm, a girl is chosen to play Lucia and the tradition holds that whomever won the Nobel Prize for Literature (celebrated just three days before Saint Lucy’s feast) publicly crowns her. 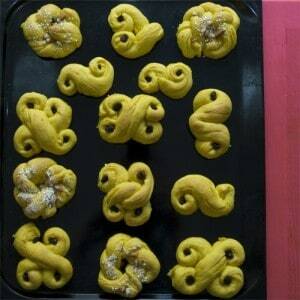 The buns are called lussekatter, and much like Saint Lucy herself, the saffron was also exported from Sicily in the early Middle Ages. Saffron represented the golden light that would gradually increase in the days following Saint Lucy’s feast. They also recall the ancient Viking tradition of offering bread shaped like the sun to their deities on the solstice. In the bowl of a stand mixer, stir into the active dry yeast and let sit for five minutes until foamy. Add 1/2 cup of the flour, sugar, and salt to the yeast, stirring at medium-low speed. Add the saffron milk and beat on medium for 2 minutes. Beat in eggs and another 1/2 cup of flour. Beat for 2 more minutes at high speed. Stir in the remaining flour and switch to the mixer’s dough hook. Continue to knead on medium-low speed until the dough is smooth, 6-7 minutes. Grease a large bowl, add the dough, and cover with greased plastic wrap or a damp cloth. Allow to rise for an hour and a half or until the dough doubles in size. Punch the dough down, recover and let rise for another hour. Turn the dough onto a floured board and tear into 3-inch pieces. Form them into “X” shapes and then dot with raisins. (See the image below for a variety of beautiful shapes.) Place the buns on a parchment paper-lined baking sheet, cover and let them sit for about an hour. Preheat the oven to 400 degrees F and bake the buns for 10-15 minutes.